The ‘buzz’ about the upcoming IHS symposium in Los Angeles has been noticeable worldwide in the horn circles that I’ve been following. I’m already planning my evenings - which concerts and lectures to attend, and then the wonderful hangouts with all the friends I get to see once a year. The IHS is more than a place to sell horns, or read intriguing articles - it is also a ‘community’ and that is evident at every horn workshop I attend. I grew up in a small town where playing the ‘horn’ was a curiosity to most of my friends, and when I discovered the IHS I felt like I had found ‘my people’. This issue features a wide variety of articles - some focusing on the intersection of Technology and horn (by Lydia Van Dreel, and by Arkady). I spent many years playing in Orchestras which specialized in ‘New Music’, and though many of the pieces will most likely never be played again, it was fun to see what new techniques and sounds the composers came up with for our instrument. See you in California! IHS LA 2015, hosted by Andrew Bain and Annie Bosler, is almost a month away! If you have not yet registered, make sure to visit the website: www.ihsla2015.com to register soon. There are over 180 events taking place within the 7 day span: August 2 - 8, 2015. An alarming number of brass players, professional and non-professional, have developed career-limiting focal dystonia. 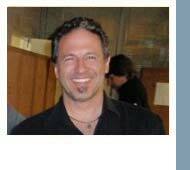 Dr. Peter Iltis, Professor of Horn and Kinesiology at Gordon College, and Eli Epstein, veteran second horn of The Cleveland Orchestra, will present MRI films that clearly illustrate horn techniques that may lead to sustainable careers and the prevention of focal dystonia in brass players. If you have yet to check out this link from Sarah Willis' website, this also refers to the work of Peter and Eli. Jonathan Guy Lewis is directed by Harry Burton in an updated production of this wryly funny and infinitely touching story about making music and confronting one’s private demons. Adapted from Jasper Rees’ popular book, A Devil to Play, the play was premiered in 2008 at the Aldeburgh Festival in Benjamin Britten’s home town. 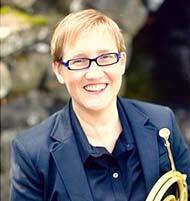 It was performed to great acclaim at the 2014 International Horn Society workshop in London. A man wakes up at forty to a broken marriage, a beckoning bedsit, and the realisation that he has done nothing to make himself memorable. Then he clambers into the attic... After a lay-off of 25 years, he seeks redemption via the sixteen feet of treacherous brass tubing he never mastered in his youth. 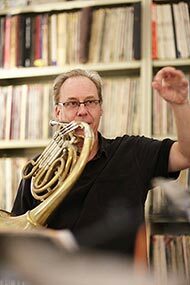 Resuming his old French horn, he sets himself an impossible task: to perform a Mozart concerto in front of a paying audience of horn fanatics. Q&A will follow. We are looking forward to seeing you in Los Angeles for the 2015 International Horn Symposium, August 2-8, 2015! The web site: http://www.ihsla2015.com/ has the list of featured artists, a daily schedule and the current list of over 40 exhibitors. This is going to be an exciting and packed event, make sure to register now so we can all meet this summer. See you there! 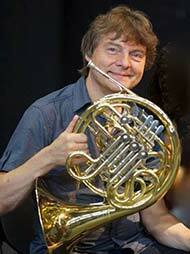 Most young horn players, while loving the tradition of western music, also love popular music. Therefore, encouraging them to experiment with non-traditional idioms is a logical step in helping them to use the horn creatively. Interesting things can happen when students are given non-traditional performance parameters. Some students flourish at the opportunity to be expressive in a non-traditional genre, and they can bring that freedom and versatility back to their more traditional performance genres. Technological tools can help a student better understand musical structures and form in application, and can help them gain versatility in musical expression. There are innumerable technologies currently being developed for music making. To experiment with non-traditional idioms, you can explore the technologies of sound manipulation and recording. Hardware technology uses tools like a mic, a mouthpiece pick-up, or a silent brass mute (with a mini plug) as a source signal sent into devices that process and change the signal. The mics or pick-ups then go directly into a variety of stomp boxes, pedals, or mixers that are designed to create effects like reverb, delay, and distortion. A more modern device such as an iRig guitar interface can take the horn signal into a smartphone, tablet or computer, and from there, you can use all sorts of software (apps, computer programs) to create the sounds you want. The stomp box effects that electric guitarists use can be found in apps such as Amplitube. A variety of settings can manipulate reverb, delay, distortion, etc. The first competition where this IMCA prize may be awarded is the International Jeju Wind Ensemble Festival in Jeju, Korea, in August, 2015. We are excited to be offering this support to young, talented hornists from around the world! 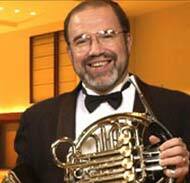 In 2014, The International Horn Society celebrated the 35th year of its Composition Contest. During this special anniversary year, there were two divisions in the contest. 1. The Featured Composition Division: Compositions in this division were works of moderate difficulty for solo horn and keyboard instrument. 2. The Virtuoso Composition Division: Compositions in this division had no difficulty limitation and were from one of the following instrumentation categories. 1) Arkady, you are widely known for your creative improvisations, your use of technology in live performance, and for your heartfelt jazz compositions. Can you tell us how you first fell in love with jazz? 2) Would you say that your jazz compositions come more from the head, the heart, or a combination of both? So—to begin, we now need an important very advanced technological device …………….. ………….a metronome. We can talk about other technology devices later, but for me, a metronome, pencil and paper, your instrument—well, that is it. Are you ready for some absolutely beginner (or advanced, depending on how you see it) jazz improvising basic exercises? Here goes.